This book walks you through all of the screens of the TouchDevelop app, and itpoints out similarities and differences of the TouchDevelop language comparedto other programming languages. For users, the book can serve as a handyreference next to the phone. The book systematically addresses all programminglanguage constructs, starting from the very basic constructs such as variablesand loops. The book also explores many of the phone sensors and data sourceswhich make creating apps for mobile devices so rewarding. 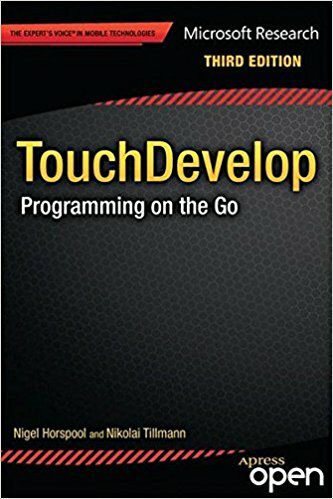 If you are new to programming with TouchDevelop, or if you have not yet workedon touchscreen devices, we suggest that you read the book starting from Chapter1. If you are already familiar with the basic paradigm of the TouchDevelopprogramming environment, then feel free to jump ahead to the later chaptersthat address particular topic areas.